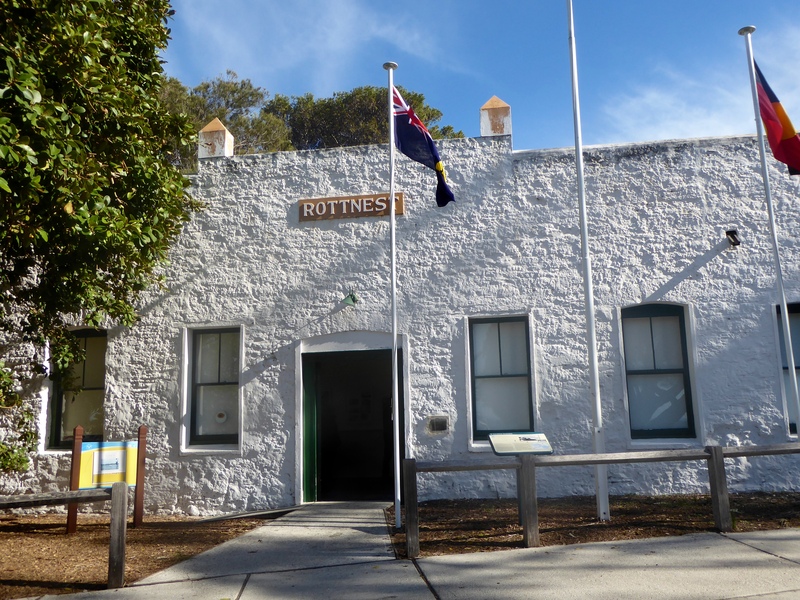 Rottnest Island was discovered by the Dutch in 1696. The island was named Rottenest which means rat’s nest. They believed the island to be inhabited by large rats. 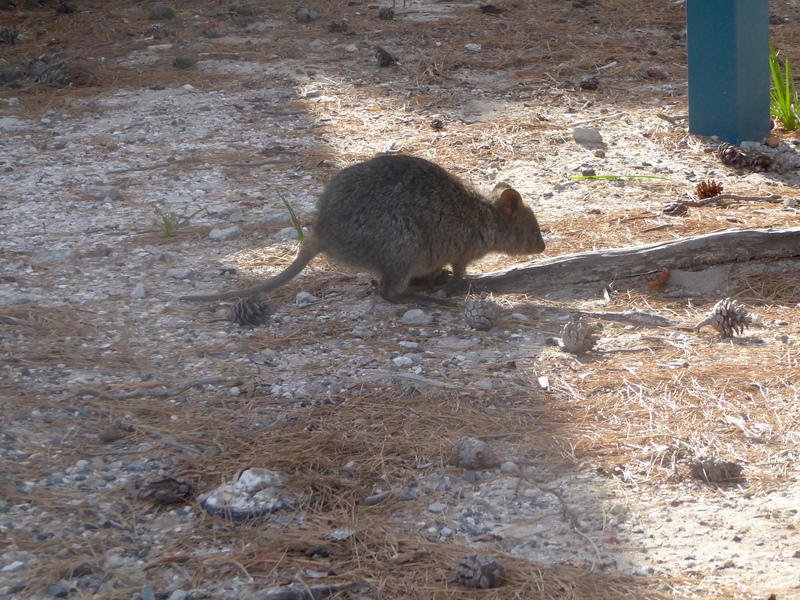 However, they were not rats but quokkas. 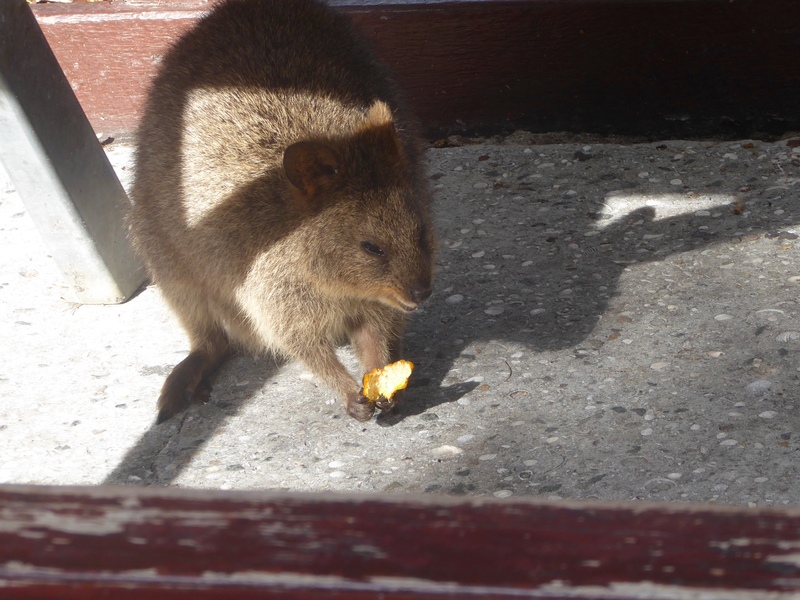 Quokkas are marsupials; smaller relatives of the wallaby. 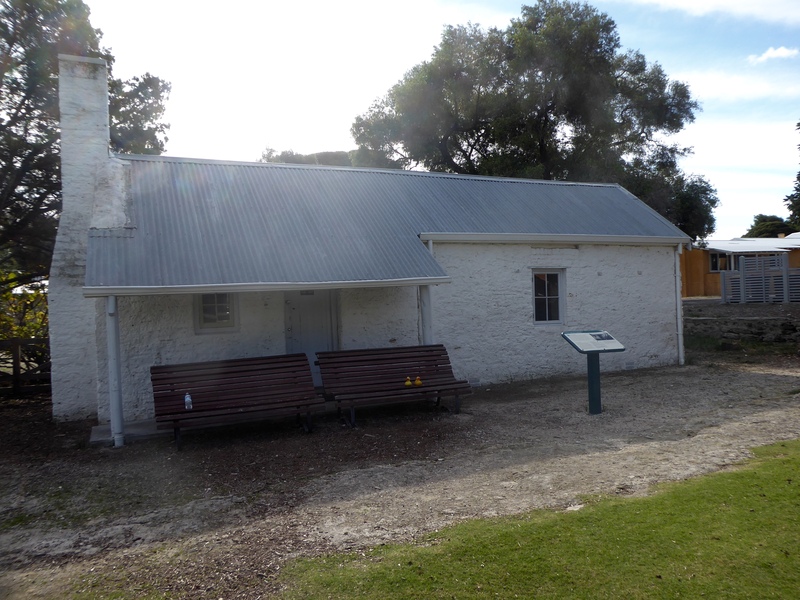 In 1838 Rottnest settlement was established as a prison for the Aborigines from the mainland. 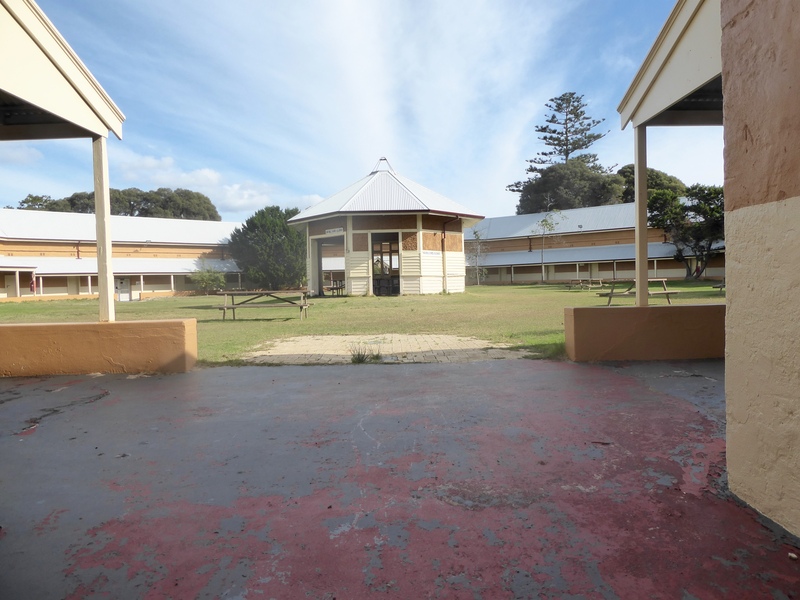 Of course, the prison no longer exists, but you can wander around the convict built buildings, such as the Quod. In the Quod, prison cells have been converted into hotel rooms. The Lomas Cottage has a large garden area. It was nicknamed Buckingham Palace during the prison days, as the warden eventually lived here. The prison guard’s homes are still here, with a different purpose today. 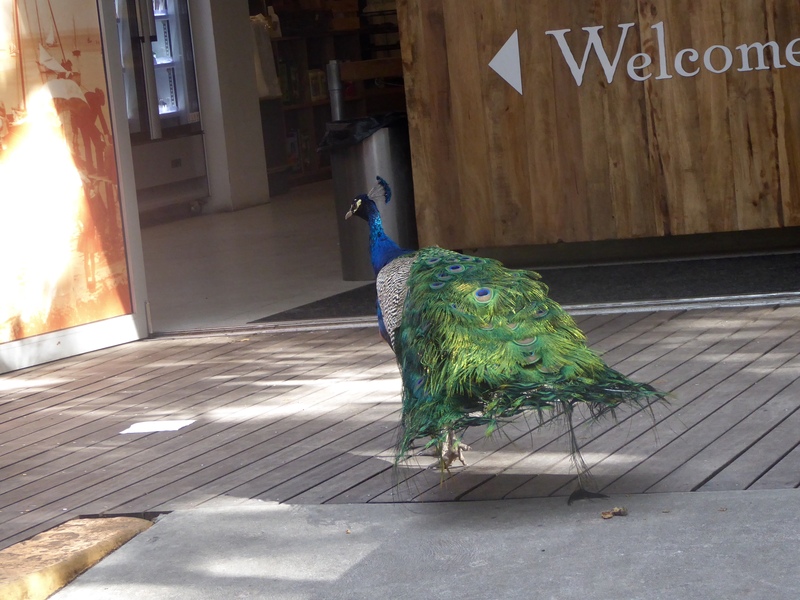 Walking among the stores in the town area, we saw this peacock. Very friendly and not at all nervous with humans. 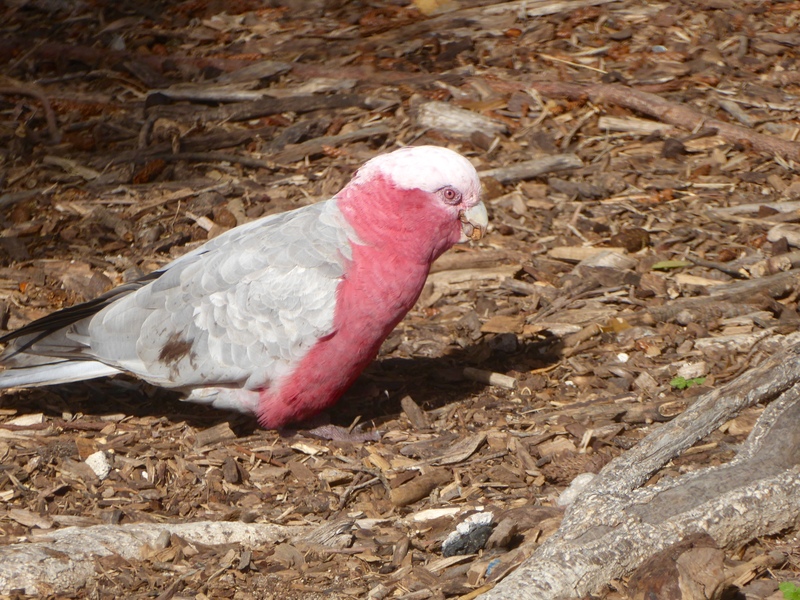 We also liked these birds with the pink tummies. Remember we told you the island was inhabited by quokkas, a smaller relative of the wallaby. This one is about the size of a cat. He is very friendly, but we should not feed him. He does not digest human food very well. His front feet are rather short and he hops like a wallaby or kangaroo. This quokka likes the Colorado Traveling Ducks. He hopped right to us, but did not bite us. 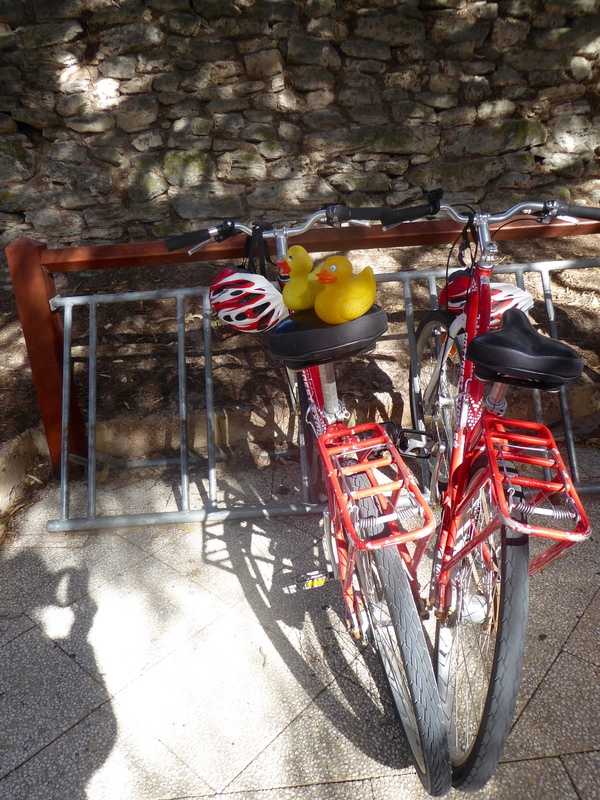 We told you many humans ride bikes around Rottnest Island. We ducks tried it also. 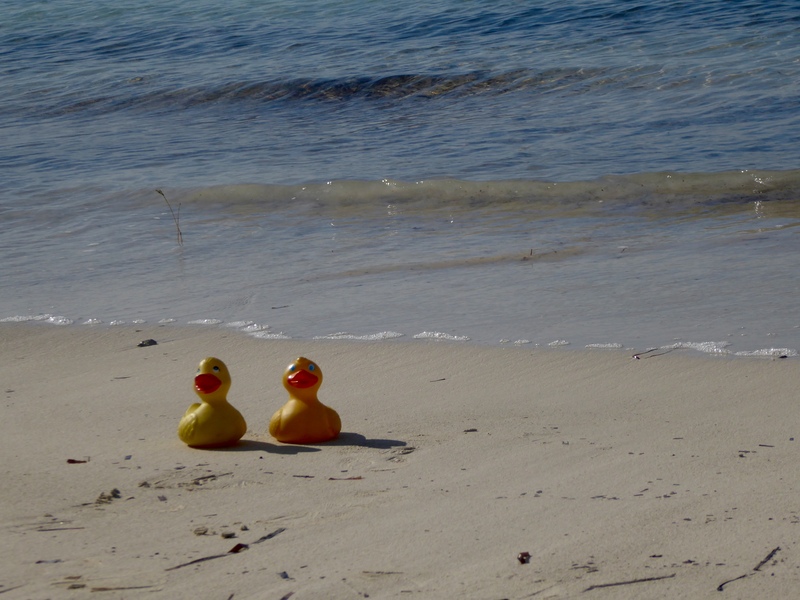 Zeb and Eider liked the white sand beach. The Indian Ocean looks so pretty today. We went to the salt house. This is now a gallery of island history. 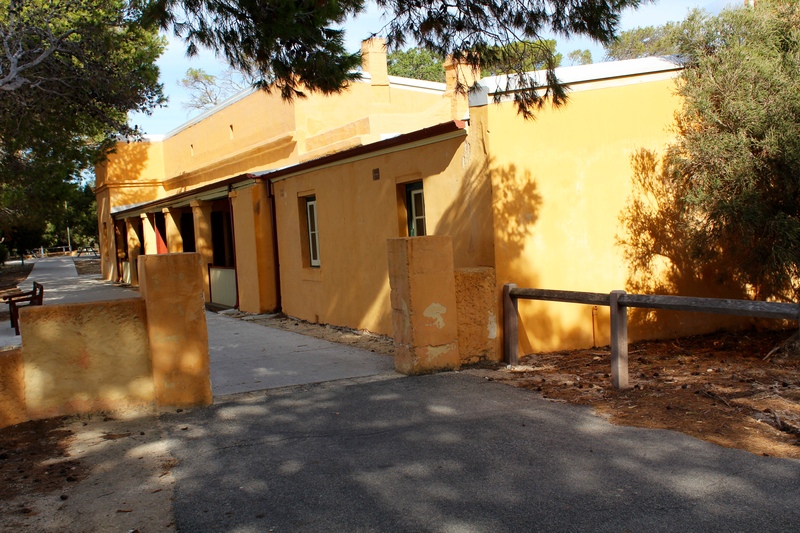 Salt used to be a major source of income for Rottnest Island. Now it is time for us to leave the island. 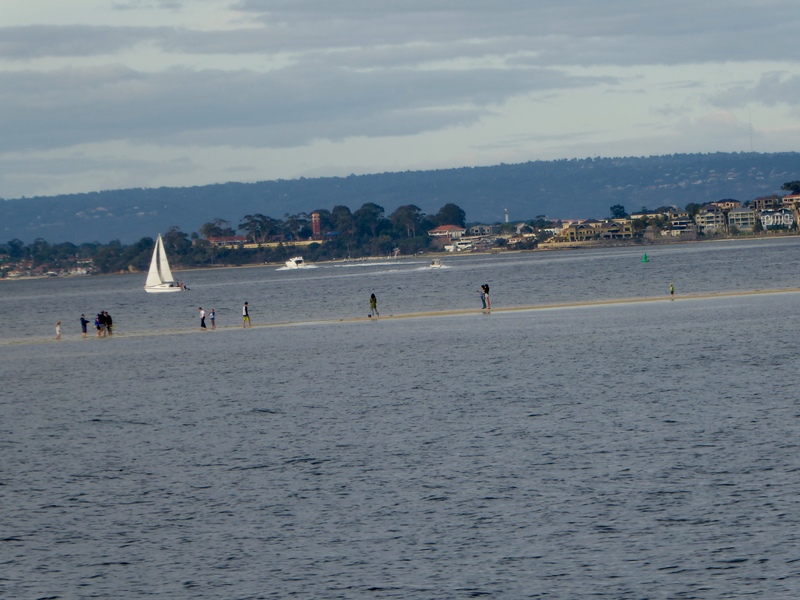 On the ferry back to Perth we saw people walking across the Swan River. The tide was low and the sand bar allowed people to walk across. Many were fishing. 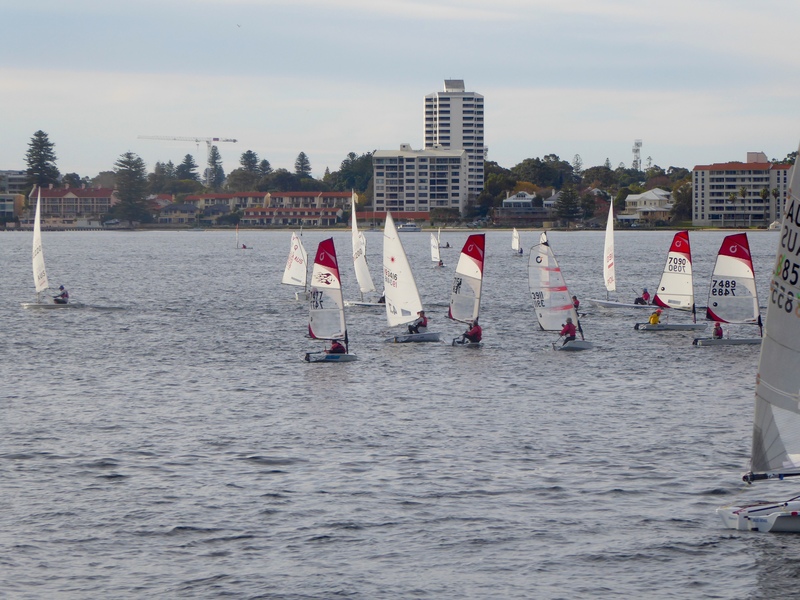 We also saw all these sailboats. We really liked the ferry and our day on Rottnest Island. You would like it also. 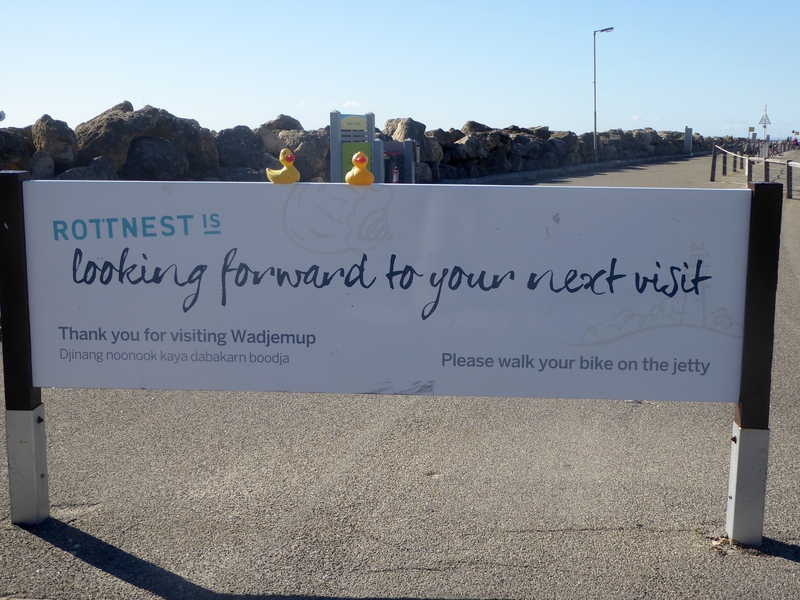 This entry was posted in Australia, Uncategorized, Western Australia and tagged Colorado Traveling Ducks, Indian Ocean, prison, quokkas, Rottnest Island, Swan River, Western Australia. Bookmark the permalink. 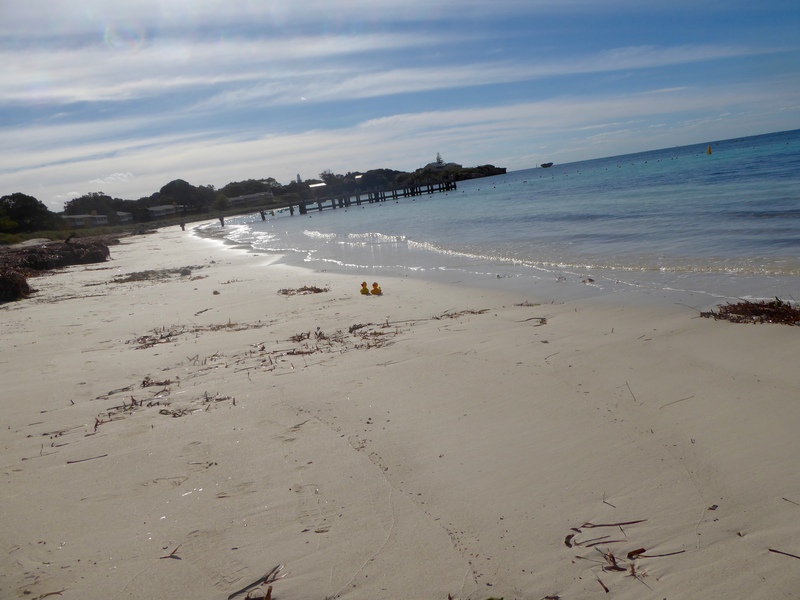 Great photo guide to Rottnest Island. Thanks for reading and reflagging. 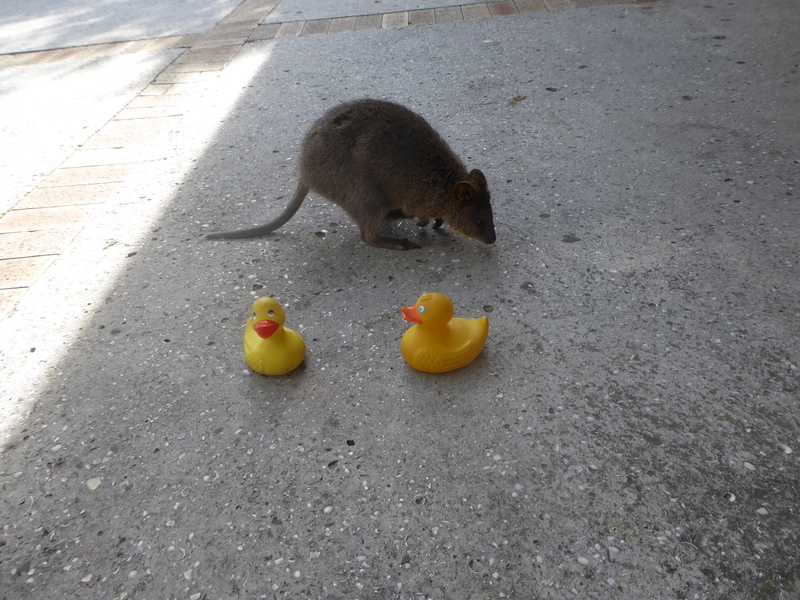 Rottnest is an interesting place.